UPDATE: This run is CANCELLED due to bad weather and will not be rescheduled. 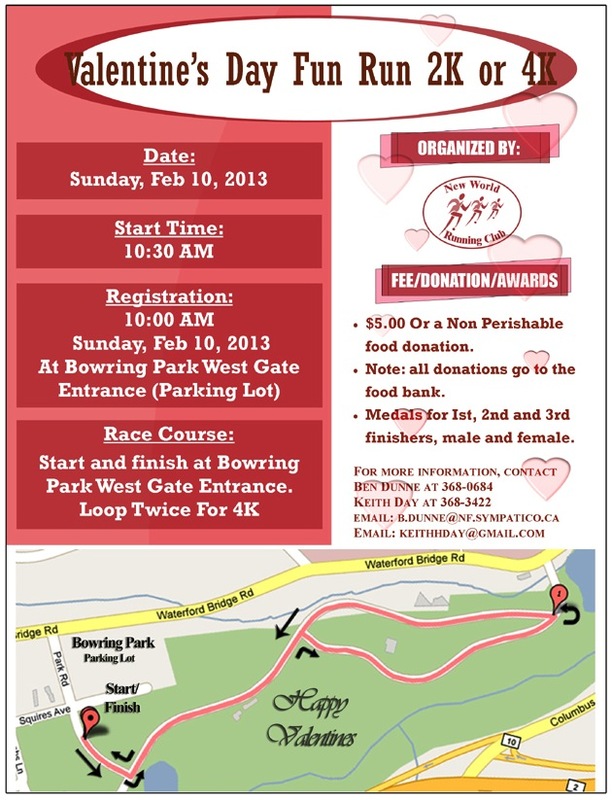 New World Running Club will host their usual Valentine's 2k/4k Fun Run in Bowring Park on Sunday February 10 starting 10:30am. 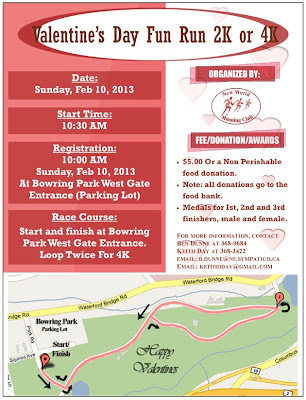 Registration in person by the West Gate from 10am with proceeds and donations going to the Food Bank.